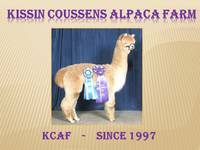 AAWW: Kissin' Coussens Alpaca Farm is a farm located in Arlington, Washington owned by Laura Coussens . Snowmass RRoyal Fox 17.5m/3.5sd/20.2cv/99.7%CF; gray daughter is a EPD 1%er! WE ARE LOWERING PRICES TO GREATLY REDUCE HERD SIZE. Contact Laura regarding shipping and SEMI-RETIREMENT PRICING. All reasonable offers will be considered. 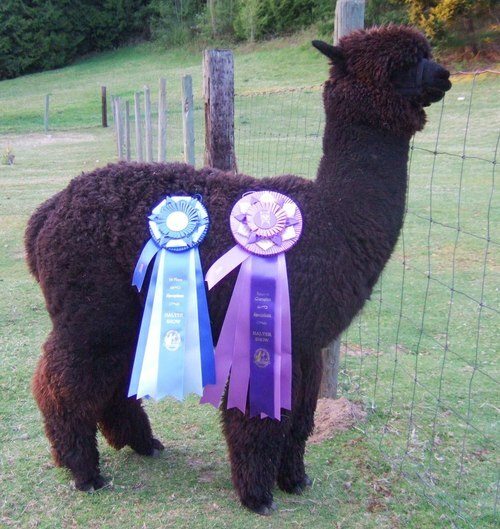 JOIN OTHER FARMS WHO HAVE HAD NUMEROUS SUCCESSES WITH OUR CAREFULLY BRED TOP QUALITY ALPACAS. We breed for soundness and longevity, efficient reproduction and lactation along with the most amazing alpaca fleece: uniform fineness with high frequency crimp, exquisite softness...handle handle handle, high brightness, length, supple drape and a high yield. Our herd's blue ribbon winning matriarch produced 13 crias, including "future of the industry" champion Constantino who at 14 years old sired two blue ribbon winning sons! EPDs: In 2016, we got caught up on histograms and we are extremely pleased with our herd's EPDs that reflect more accurately the high rankings and staying power of our alpaca's fleeces to five years of age and beyond (See Flint as one example). 2017 and 2018 not submitted (yet). We focus on what it takes to perpetuate the species for future successful generations because we believe that the real success of our efforts must last long after we've passed our torch to the next keepers of the herd. Our efforts are working...We have never had to do a C-section, correct a torsion, bottle feed a cria, or do an IgG transfusion. We choose matings carefully with the goal of producing "prepotent" offspring that are overall superior to both parents and are top producers of fleece and progeny. Professional shearers have told us that our herd is one of the finest and most abundantly fleeced herds they shear. 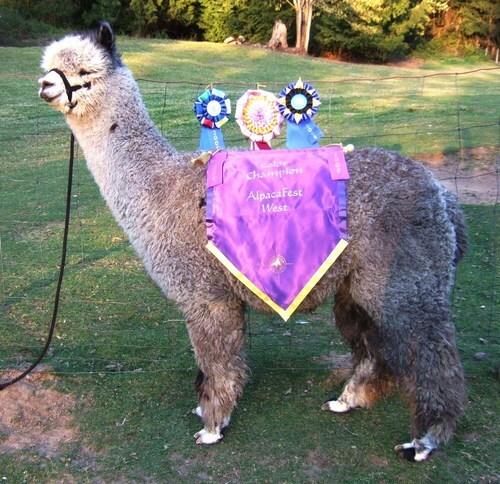 Many of our sold alpacas and their descendants have had great production and show successes including the Futurity and AOA Nationals. Quote from a mill owner about alpaca fleece: "...amazing quality...(alpaca breeders) should raise wool on the side since you're so good at alpaca." No sheep's wool can ever be as soft as the best alpaca because the scales on all sheep's wool flare out. Alpaca...feel it and become a believer too. A. 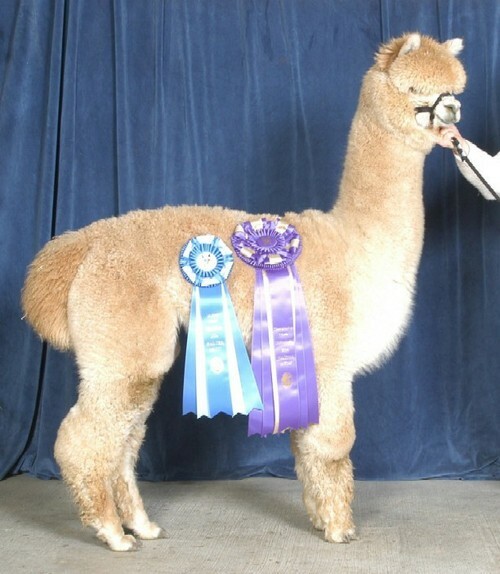 Because the world needs more alpacas. There's nothing else like the beautiful, sweet-natured alpaca. Every product is intrinsically superior...the softest and warmest fleeces in rich natural colors, the leanest protein (if you so choose) and "black gold" manure and they are easy to keep. Mid-day births usually need no assistance; very easy to train and safe to handle. 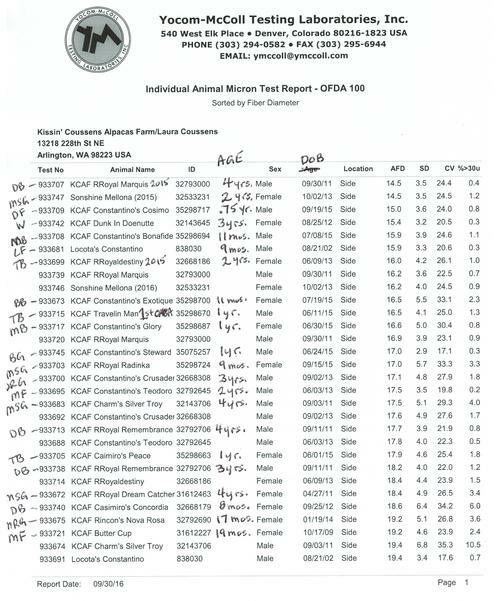 Lots of new breeders are needed for herd growth and to replace retiring breeders. Feel an alpaca cria fleece and become a believer too!